Puerto Rico is mired in debt and facing default. And US colonialism is one of the main culprits. But the real story is more complicated, and more connected to Puerto Rico’s colonial relationship with the US. Over the years, the US has treated Puerto Rico as a laboratory for population control, conducted naval war games on the island nation for possible Middle East interventions, and used it as a pre-NAFTA staging ground for corporate megastores to develop consumer bases and exploit low-wage labor. Hitting the island in 2006, Puerto Rico’s economic recession was the culmination of decades of US policies that distorted economic development. After the US seized the island from Spain at the turn of the nineteenth century, it began destroying Puerto Rico’s agricultural economy — an informal mix of subsistence farmers and small landowners — by allowing US corporations to buy up most of the arable land. By the 1940s, with a militant nationalist movement pushing for independence, the US drew up a plan called “Operation Bootstrap,” replacing the agricultural economy with one powered by light manufacturing, tourism, and services. 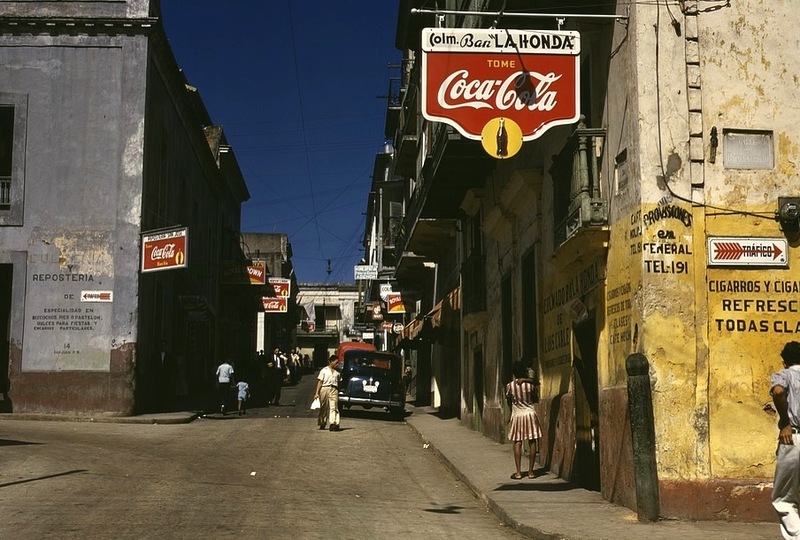 Designed to enrich US corporations, the economic approach momentarily produced a small middle–class, and throughout the Cold War the US showcased Puerto Rico as an anticommunist alternative to Cuba. Yet because of its colonial status, Puerto Rico was never allowed to negotiate bilateral trade agreements and has had to adhere to fiscal policy directed by the US. External control and extraction of profits stunted the country’s productive base, leading to an economic crisis that the pro-independence left had long predicted. While Puerto Rico’s problems are often portrayed as having begun with the 2006 recession, its pattern of borrowing to keep the economy afloat began over thirty years ago. In the 1980s, as the mainland recession dragged down Puerto Rico’s economy, the government began taking out loans from US banks to cover deficits. More than anything [Puerto Rico’s problems] were self-imposed, the result of actions by a clique of government administrators and finance capital and their intermediaries on the island. Instead of forging development they maintain a system of extracting surplus that is shared by local businessmen and global interests. This would explain the recent move by Puerto Rico’s centrist governor, Alejandro García Padilla, to raise the sales tax to 11.5% (the highest in the union) from the current 7.5%. Padilla’s austerity agenda, which includes cutbacks in public sector employment, is harming workers already reeling from a 13.7% unemployment rate — especially since the government is now the country’s largest employer, following the exodus of pharmaceutical giants like Pfizer and Lilly and the ongoing shuttering of Sears outlets. Pacts between US corporations and local elites are not unusual in Latin America, nor are the problems facing Puerto Rico — violent crime, emigration, and economic crisis — that recent. The debt crisis is also not making headlines in the mainstream and business press because the US’s colonial experiment is finally being recognized as an abject failure. Instead, the newsworthiness of the debt crisis stems from the fact that US investors, acting through hedge funds, are heavily invested in bonds issued by Puerto Rican government agencies, which owe a substantial chunk of the $73 billion. To help service this debt, Puerto Rico began floating bonds that attracted American “mom and pop” investors looking to the municipal bond market to enlarge their retirement nest egg. They were lured by the triple-tax-exempt status of Puerto Rico government-issued bonds (interest paid is free of all city, state, and federal taxes). These investments are now in jeopardy in part because Puerto Rico is having difficulty paying pensions to its government workers — the country currently faces a $34 billion shortfall. Puerto Rico has thus gotten caught up in a high-stakes financial casino game where its stunted economy and small domestic market fuel manic investing that seeks to avoid taxation at all costs. Like the drunken sailors that once mobbed Havana’s jazz bars, hedge funds such as UBS, Franklin Templeton, and Oppenheimer have rolled the dice that investing in Puerto Rico’s debt will pay off big. But this has created economic chaos. According to the Center for a New Economy (CNE), a moderate Puerto Rican think tank, the ratio of total government debt to GNP grew from about 30% in 1962 to 74% in 1975. Although it decreased to about 60% by 2000, CNE director Sergio Marxauch says that by 2012 the ratio had risen to 100.6%. Puerto Rico’s economy is clearly unsustainable, barely able to generate enough capital to service its debt. When the island began to struggle with its bond payments, Wall Street banks like Barclays and Morgan Stanley swooped in to extract billions in underwriting fees and unfavorable debt swap termination fees. The exacting toll of hedge fund investors and debt restructuring costs has deepened Puerto Rico’s economic troubles. There’s been a series of downgrades by the same agencies (Standard & Poors) accused of unethically propping up investment ratings of investment houses that played a major role in the 2008 recession. And according to official records, in 2012, the government gave Wall Street banks $4.1 billion in bond payments (principal and interest), derivatives, and issuance costs, or five times what it spent on economic development. Meanwhile, urgent needs like repairing crumbling infrastructure and investing in alternative forms of energy — given the severe crunch at the Puerto Rico Power Authority, which is on the brink of default — have been mostly ignored, save for when the Obama administration briefly distributed federal stimulus funds. Puerto Rican bonds’ triple-tax-exempt status, which attracted speculators from investment houses like the Oppenheimer Fund, is a product of the country’s colonial relationship with the US. While the tax benefit is only available in certain US states (and one must be a resident of that state to receive it), all municipal bonds issued by US territories and possessions carry the liberal exemption. Last month, the Puerto Rican Government Development Bank said that it might have to forgo debt-servicing payments starting in September 2015. This contradicts a previous statement by García Padilla that any talk of not repaying debts is “folly,” and it could simply be a ploy to coax intervention from a US government (which while slow to act thus far, will ultimately want to avoid the bad publicity of its colonial experiment collapsing). Regardless, the possible moratorium avoids the root of the problem, and is just a band-aid for a hemorrhaging system. The government’s response to the debt crisis has been sluggish at best. While the tenure of García Padilla’s predecessor, Luis Fortuño, included severe cuts in government employment and Scott Walker–like repression of labor and student protests, García Padilla has embraced a milder form of austerity that nevertheless values privatization and deficit reduction over inequality reduction. Opening the island up to more external investment capital has also been one of the administration’s central priorities. Puerto Rico’s February 2015 summit, designed to attract US investors, featured former New York City mayor Rudolf Giuliani — peddling his Giuliani Partners consultancy — as its keynote speaker. Giuliani’s appearance, according to Bacó, “reinforces the international recognition of our government’s commitment to economic growth.” A more recent iteration of the event, held in May, focused on investors from Latin America and Spain. When he isn’t buttering up billionaire hedge-fund managers, García Padilla has focused his attention on trying to restructure the country’s debt in an attempt to protect the country from bankruptcy or default, something it cannot technically do under US law. Yet while García Padilla is promoting tax breaks and a corporate rate as low as 4 percent — and favors balancing the budgets on the backs of unionized workers like teachers — business has taken umbrage at this move: his La Ley de Quiebra Criolla (The Law of Boricua Default) was immediately challenged by two lawsuits, one filed by Blue Capital Management, and another by Franklin Funds and Oppenheimer Rochester Funds, who together hold about $1.7 billion in bonds issued by the Puerto Rico Electric Power Authority (PREPA). In February, district court ruling struck the law down as unconstitutional, but Puerto Rico’s government has appealed the decision. A new proposal by the government attempts to restructure PREPA’s debt, but will most likely lead to further rate increases for consumers. Both Padilla and Pedro Pierluisi, the leader of the pro-statehood party, have advocated for bill called the Puerto Rico Chapter 9 Uniformity Act, but it has languished in the House since February. The business community clearly objects, but even if it passed, it would just mean further severe austerity. The legislation is designed to allow government entities to restructure their debts to get around the lack of bankruptcy protection. Yet that process would most likely entail further cuts in services and pensions. Puerto Rico’s government, unlike Argentina’s, has shown itself far less willing to confront the unfairness of the US’s economic hegemony and far more willing to follow the neoliberal model of shifting the burden onto workers. Even worse, it cannot file for bankruptcy like Detroit. Neoliberal prescriptions for righting Puerto Rico’s economic course are pretty consistent. A recent Federal Reserve Bank of New York report entitled “An Update on the Competitiveness of Puerto Rico’s Economy” suggested “Steps Toward Fiscal Sustainability” like stimulating economic growth, reforming the tax collection system (Puerto Rico has a vast underground economy), cracking down on public sector corporations, and of course, striving for a balanced budget. But these pieces of advice, as well as the Obama administration’s opposition to a bailout (which would amount to a scratching-the-surface form of reparations), overlook the dangerous reality of unsustainable debt. The lack of momentum for independence also leaves the status quo or US statehood the principal options, and the two dominant parties have demonstrated a stubborn allegiance to neoliberalism, whether in its cruel or kinder form. Increasingly, voters are disillusioned with the politics that have ruled the island since its takeover by the US. New political parties like All Puerto Ricans for Puerto Rico, Solidarity Union Movement, and the Working People’s Party (PPT) have emerged as voices of resistance, less concerned about whether Puerto Rico should seek independence or American statehood and more interested in issues like job growth, education, the environment, and race and gender discrimination. They are no longer willing to wait for Washington’s implementation of the Puerto Rico Democracy Act of 2007 (which was intended to help resolve the status issue). For its part, the PPT is an explicitly socialist formation that has denounced the 11.5% sales tax proposal and education privatization, and endorsed the recent student protests against increased university fees. García Padilla has not welcomed this threat to the island’s three-party system. His Commonwealth Party has engaged in a harassment campaign to slow down the re-certification process of the PPT, by claiming an unusually high rate of “incompatible signatures” on endorsements submitted by the party. Universidad del Este professor Manuel Almeida notes that this is “a delaying tactic that will ultimately deny the party public matching funds,” hampering their ability to air campaign ads. Once touted as an exception to the rule of poverty in the Caribbean, Puerto Rico finds itself the victim of American imperialism, devoured by the globalizing thrust of finance capital. Corrupt banking and investment practices have cloaked its glaring productivity failure, and local elites benefit from growing inequality. Any movement for independence must carry an agenda wider than nationalist symbolism and work towards a broad agenda against class, race, and gender marginalization, and for environmental reform. But even before its territorial status is addressed, there is much work to be done to ameliorate the growing effects of acute austerity. After the music dies down and the dancing stops, Puerto Rico’s fate must be dealt with in a way that recognizes its human rights and dignity and fulfills the modicum of citizenship granted to its inhabitants so many years ago. Ed Morales is the author of Living in Spanglish (St Martins) and the forthcoming Raza Matters (Verso). He is currently a lecturer at Columbia University’s Center for the Study of Ethnicity and Race.